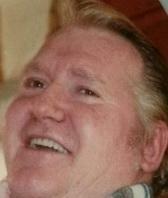 WATERLOO - Steven "Enoch" Baugh, 68, of Waterloo, died at home Saturday, Sept. 20, 2014. He was born July 20, 1946, in Moberly, Mo., son of Paul E. and Elizabeth Mienders Baugh. Steve served in the U. S. Navy during the Vietnam War. He was employed at Chamberlain Manufacturing, John Deere and later as a carpet layer. Survived by a sister, Lynda Farinella; a brother, Thomas Griffin; two stepsons; and five grandchildren. Remembrance gathering 1 to 4 p.m. Saturday at Chasers Lounge, 3005 University Ave., Waterloo, with military honors at 1:30 p.m. Inurnment will take place at the Iowa Veterans Cemetery in Van Meter. Steve enjoyed fishing, hunting, sports, and laughs with friends.